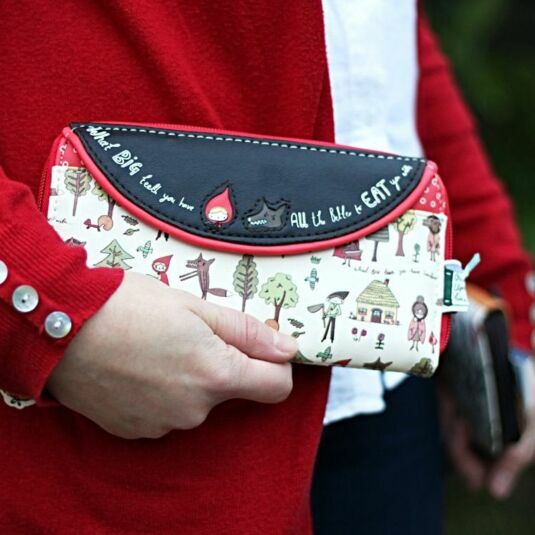 A wallet from the Once Upon A Time range. 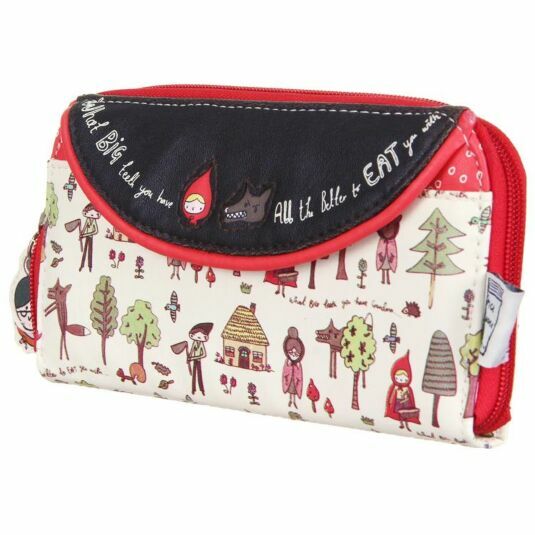 We all know the story of Little Red Riding Hood, and here it comes to life on this lovely wallet from Disaster Designs. 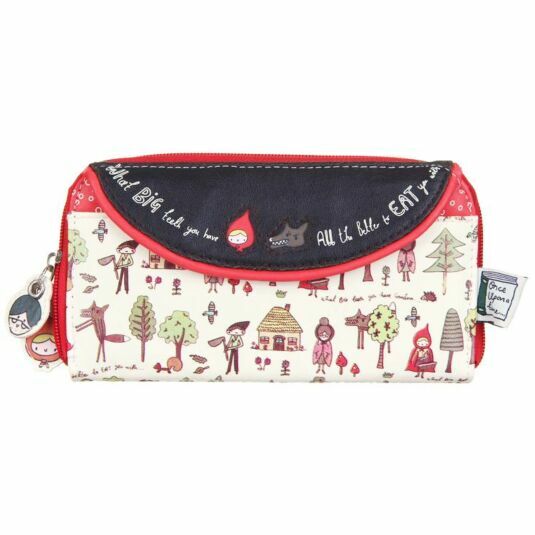 Part of the Once Upon A Time Range, the wallet features all the characters from the famous tale, from the hungry wolf to the old grandma. The front of the wallet even features the classic quote: "What big teeth you have... All the better to eat you with". 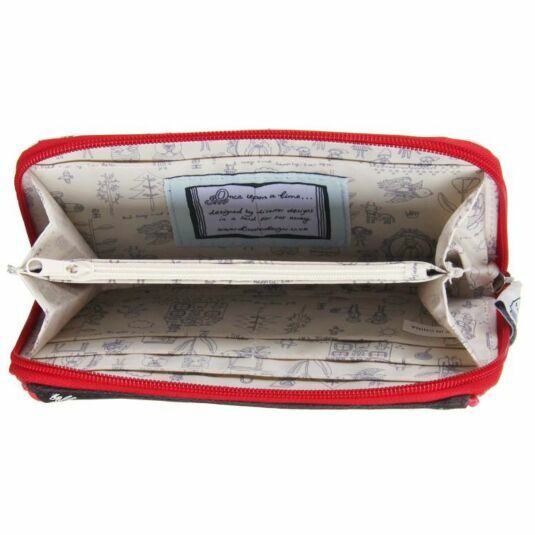 The inside of the wallet contains several pockets, including a zipped pocket for keeping change, as well as slots for cards and everything else you could need. The whole thing zips up securely, ensuring everything is kept safe and sound inside. 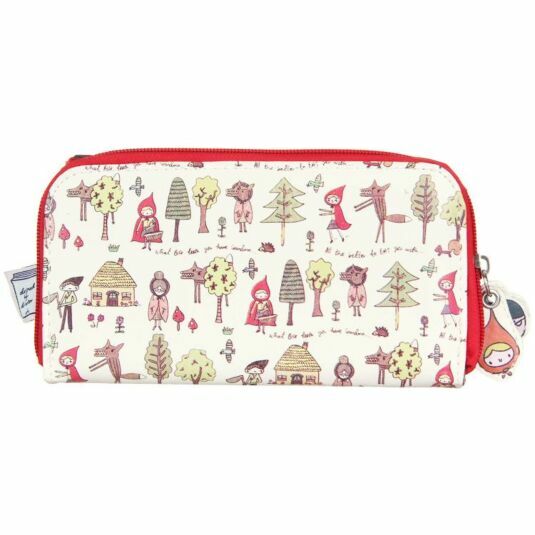 As the Big Bad Wolf might say, All the better to keep your money in!